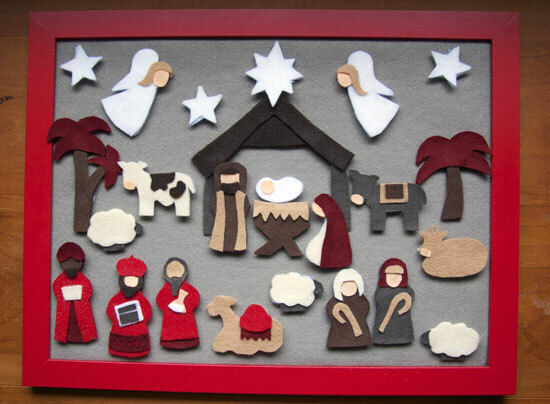 Last christmas I came across this sweet nativity advent made of felt. I loved the idea and knew I had to make something similar for our home immediately. Unfortunately with traveling to New Zealand last December and arriving home a few days before Christmas with jet lag and colds… an advent calendar just didn’t make the schedule. 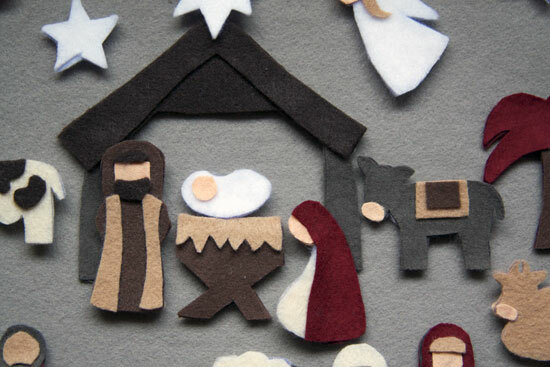 This year I’ve started early on the Christmas crafting and have a felt nativity advent completed and ready for December! I made mine in a red & neutral palette to match with our other decorations. I was feeling lazy so my felt figures are glued together rather than stitched. I bought a cheap red 30x40cm nyttja frame from Ikea and popped some grey felt backing into it. 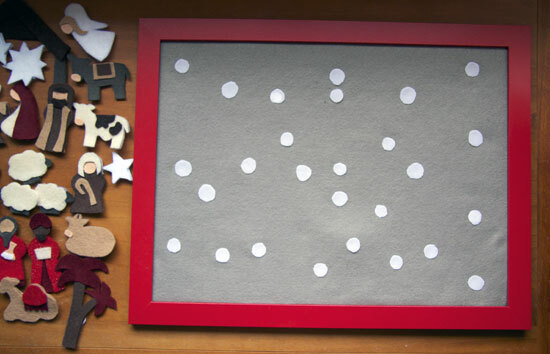 The white polka dots are velcro spots so that all the nativity pieces can be added, day by day. Full credit for this awesome advent design goes to the Barefoot in the Kitchen blog which you should totally check out. Thanks for the inspiration!